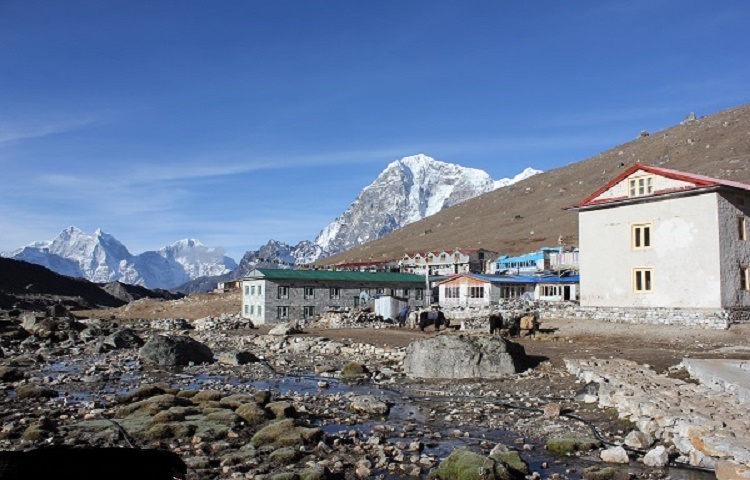 Himalayan Sky Camp Adventure Trek is a new trip recently initiated in Nepal of Dhading District. Dhading is a mountainous region full of flora and fauna in journey. 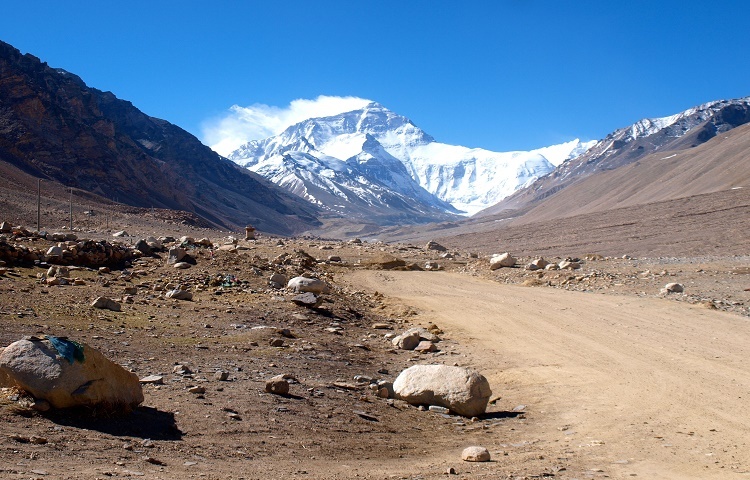 The central core attraction is the glance of Manaslu and Ganesh Himal. 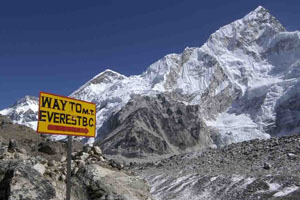 The height of Manaslu is 8,166m. You can have dazzling view of Netra Tal on the way. The shore of Netra Tal lures your heart. You will be in different Zone far away from crowded area to peace zone. The people on there are so helpful and loving. On the way you will hear chirping sound of varieties bird. The chautara(Sacred fig Tree) helps you to take rest at regular interval. You will witness crystal clear water resource to nourish your thirst. We will do camping at the peak of the Pokhara Village to have panorama of Ganesh Himal and Lantang Himal. You can relax your mind and body though aid of Guru doing Meditation. You can observe in your mind’s eye how fascinating the glance of Manaslu Himal and Ganesh Himal will be to you. Foot on the peak of the Pokhara Village will definitely give you a fresh experience. 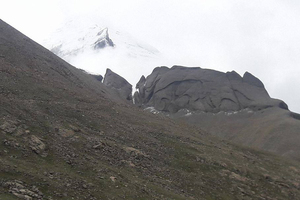 On bonus you can have Netra Tal and life style of mountainous people. There pleasing behavior and love towards you will definitely magnetize you. Food and accomodation cost during the trip. Charge to guide and porter. Refreshment for tea or coffee as per your desire. Permit fee for international visitors. All sorts of Entry fees. Homestay or camping as per your desire. First aid kit during the entire trip. All sorts of beverage items and colddrinks like Coke, fanta, beer etc. All sorts of International Faire charges. Personal shopping on the entire journey. Welcome to city of temple, Kathmandu from where your adventure land of mountains, Nepal come to be to start. Putting your foot paws from plane at this holy Land gives you a fresh feeling. After clearing through immigration and customs at the airport, you will be received by our pleasant staff and moved to our guesthouse in the heart beat of city, Thamel. The Hovering around that territory you can explore distinctive shops in each footstep to fulfill your needs that you may desire. The afternoon is yours which means you can take time out or chance to explore the surrounding around it which is so pleasant, peaceful and dazzling. The actual journey start with a 20 minute helicopter ride or you can go through our own private jeep which takes around 7- 8 hours. During that phase you will acquire your nearby sights of Manasalu (8,156m) and Ganesh Himal (7,422m) Range, terrace farms and villages all the way through the hills. The helicopter journey comes to an end right next to Netrataal. Not only the fascinating sights of shore of the taal, you can have glance of varieties of local and migratory birds come here to beat the cold. The best part is that the chirping sound of varieties birds gives you a pleasant peace to your ear. Your actual trekking along the trail will be started, after discovering the taal through a 45 minute boat ride comes to an end. Now you will feel the some new more energy in your body which makes you to feel that you are on a different Zone that is because of sounds of Nature, Rivers, Birds, Farmers and Cattle. This will provide you to experience rural Nepalese culture, lifestyle and their love and respect towards you. The beautiful example of this is that you can find many Chautari(Built generally under a Sacred fig Tree) built by local people on certain duration to have breaks for you and you can find the crystal clear water resources pools on the way. After hiking for 3 hours in slow and steady manner, you will touch at Mantari(Sky Camp Headquarter) by midafternoon where our team will serve your lunch. After you take a short nap, we and our Yoga guru will create an environment for a yoga session in order to meditation your mind and body to feel away from being drained. In dinner we will serve you fresh and hygienic meal prepare from locally available vegetables and you can finally sit at camp fire or you can have some rest at your own tent. You will able to have witness the glance of panorama of the hills when you open your eye. You will be serve light breakfast and Guru will start your day with a morning yoga session. After crossing the Fulkharka Village, we will hike towards the “Pokhara Village” to the Eastern Sky Camp. 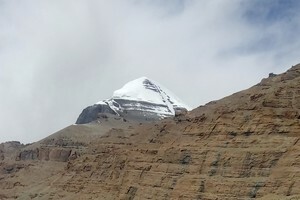 To offer you the best glimpse of Ganesh Himal we will set camp on a crest. You will also visit nearby local School and you can create harmonic relation with students through interaction or by joining them on an extra curriculum activities such as playing singing, dancing, storytelling, football, volleyball and so on. At dusk you will be serve Nepali Khana and set of camp fire to have some entertainment. At dawn you will be serve light breakfast and regular yoga training from a regular Yoag Guru. After that you will be shown Shamanism ancient activities by our clients. 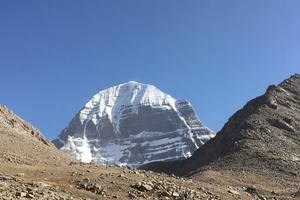 Today’s trek hike is steep one but it is short and sweet also because this path has been used for thousands of years by pilgrims and shamans past two holy waterfalls to a shrine which is believes to be mouth of Lord Ganesh. 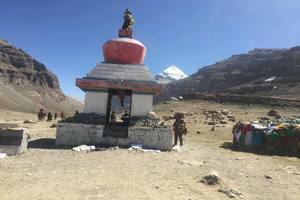 The shamans visit this highly spiritual place in each month to enhance their spiritual and strengthen their powers whereas local people visit there to offer request to Lord Ganesh in case of drought in rainy season. The local have so much faith on Lord Ganesh that they feel that there praying have never gone on die out. After countersigning their ancient rituals, we put dual of red and yellow tika on our forehead as a blessing from elder. 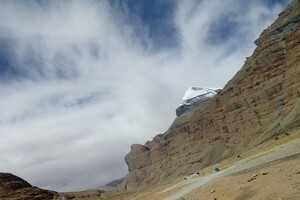 Then we head back to Mantari Sky Camp Headquarter and have an astonishing sight of surrounding in lasting hours of day. Having your as usual routine in morning of breakfast and yoga. Then after you will head back towards NetraTal where you can recall the memory of day1. Where you can again witness a sound and calm rural environment far away better than a modern world crowded area. The pleasant chirping sound of bird, river and cattle lure your heart towards them. The availability of more Chautari and crystal clear water resources on the way has given you to take rest more and to fulfill your thirst respectively. Once you arrive at NetraTal, you can hover around the surrounding to take glimpse of it or you can ride boat by yourself also. It is the last day of your trip from here on you can decide whether directly back to Kathmandu or choose to move to next prefer destination. The trip can be extended to further more days as of your requirement.